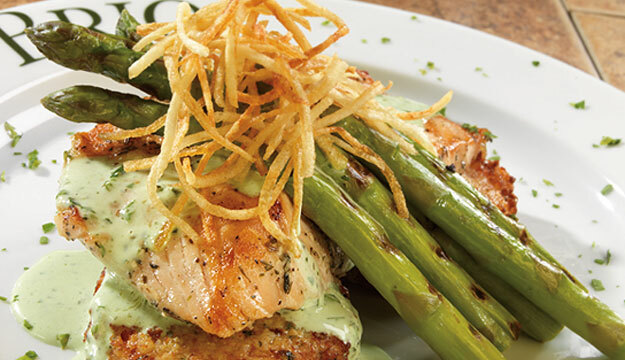 BRIO Tuscan Grille Offers Refreshing New Menu Items Simply Perfect for Spring! Hello Tampa Bay! Julian here... Have you already made plan s for father&apos;s day? BRIO Tuscan Grille at International Plaza is opening for a special Father&apos;s Day family brunch, celebrating Spring by adding new Tuscan creations to the menu! You will be treated to new dishes that refresh the palate and are infused with flavorful wines, straight-from-the-garden vegetables, grilled meats, light and creamy sauces and specialty cheeses, plus desserts that are both sweet and tart. So make your reservation for June 20th starting at 10 AM...! New specialties on the menu include the Pesto Primavera with Chicken or Shrimp made with linguine, mushrooms, asparagus, zucchini, carrots, cilantro pesto and Parmigiano-Reggiano or the new Pasta Pomodoro with Chicken made with angel hair pasta, grilled chicken, tomatoes, pine nuts and a cilantro pesto drizzle. So treat Dad to the newest Brunch favorites! Make your Father&apos;s Day reservation and check out the full BRIO menu as well as the gift cards here. Well that&apos;s it for now, but I will keep you posted on exciting things to do, including Tampa Bay shopping, Tampa bars, and Tampa Bay area beaches!